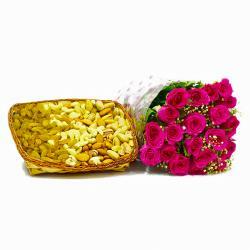 Have a look at the spectacular Bouquet of yellow roses you can create a path of love directly to your dear ones heart. 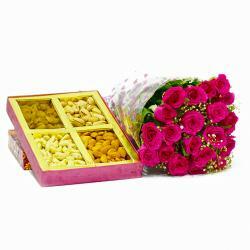 Feel them more special with assorted dry fruits and give reason to cheer. Freshness and fragrant, which is why, they are all the more desirable as gifts. 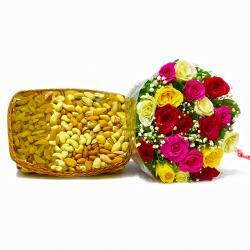 Anyone will love the gift of crunchiness of nuts and fragrance of roses on special occasions like Birthday, Anniversary, Congratulations, Karwa Chauth, Republic Day, etc. Order you gift online and get same day delivery. Along with this, send other Gifts to India through Giftacrossindia.com to be delivered in a safe and speedy mode. 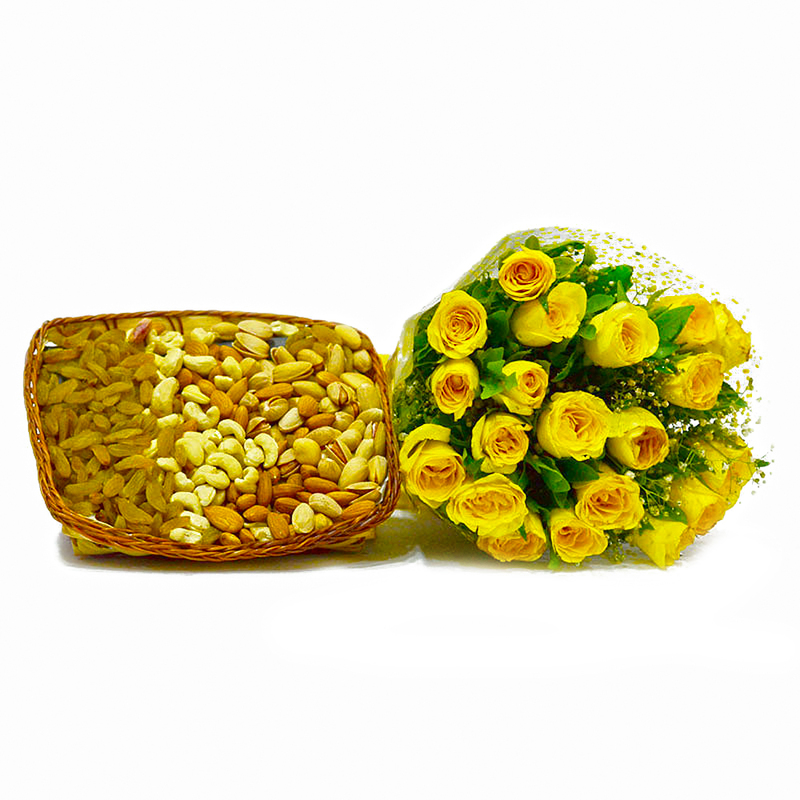 This gift hamper contains : Bouquet of 20 Yellow Roses along with Mix Dry Fruit in a Box (Weight : 1 Kg).